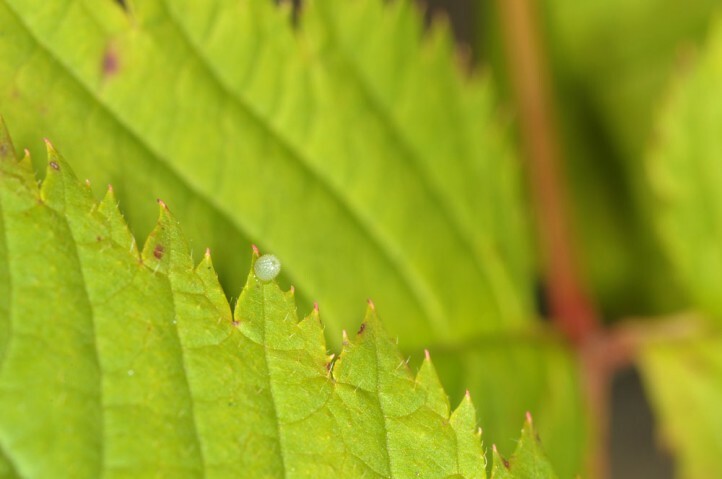 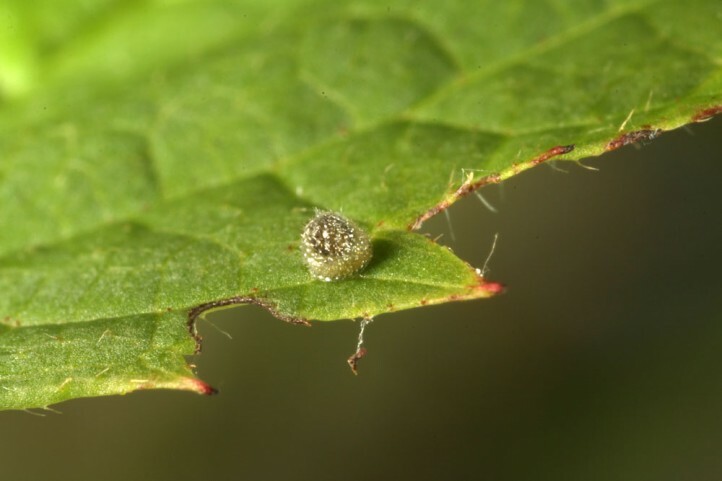 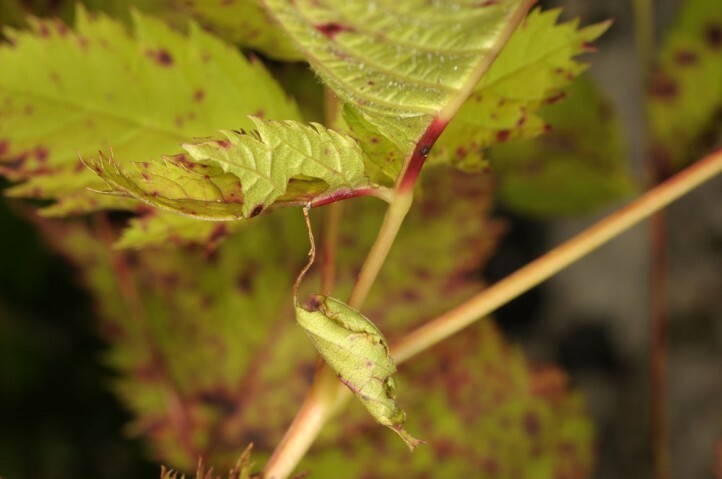 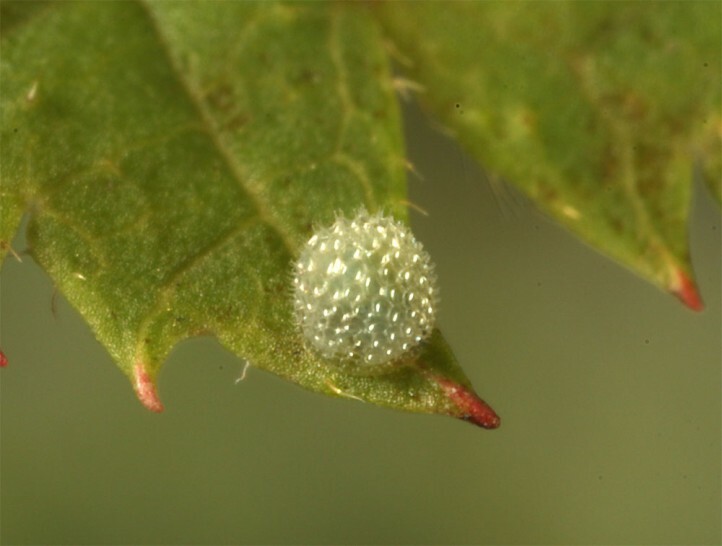 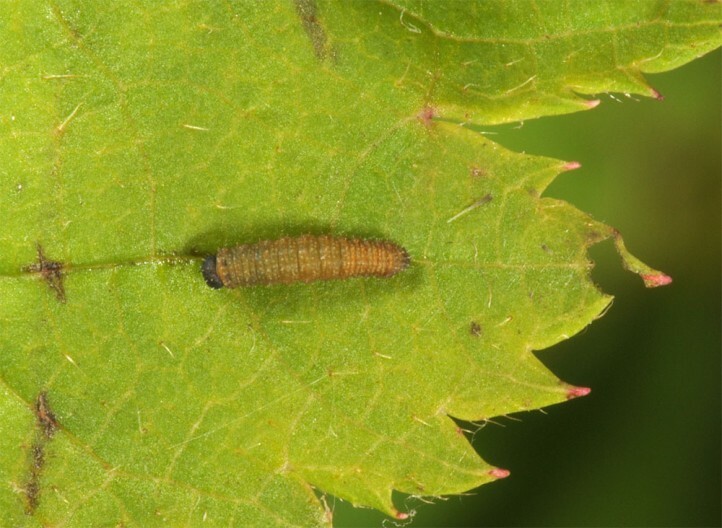 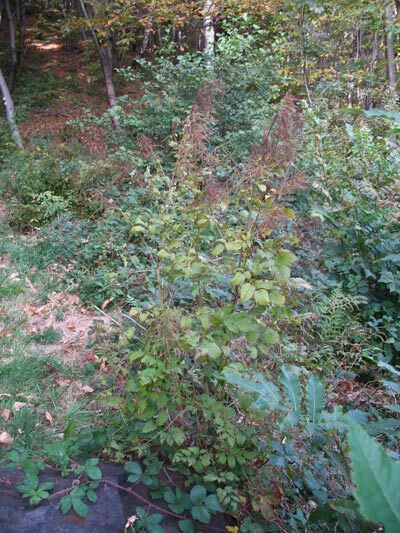 The larva feeds on Aruncus dioicus and Filipendula ulmaria (Rosaceae), more rarely on planted Spiraea bushes. 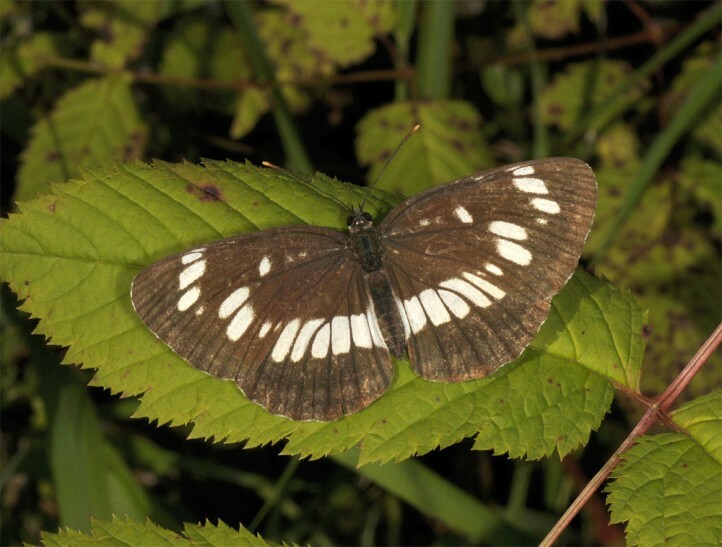 Neptis rivularis inhabits warm, damp, open woodland. 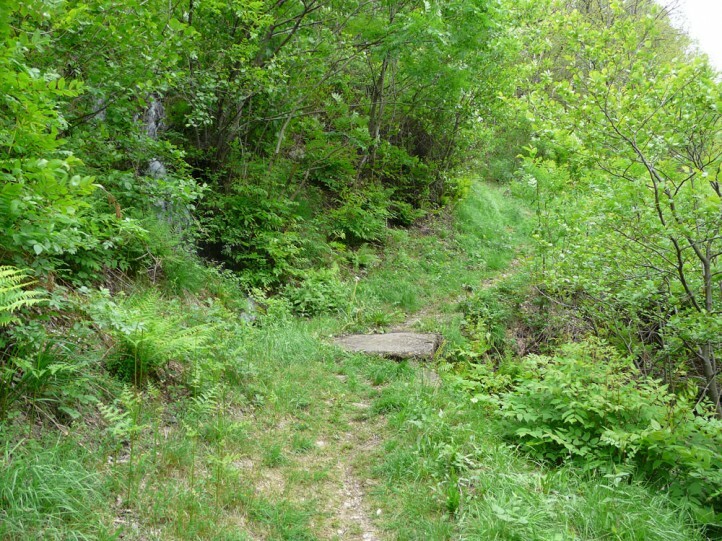 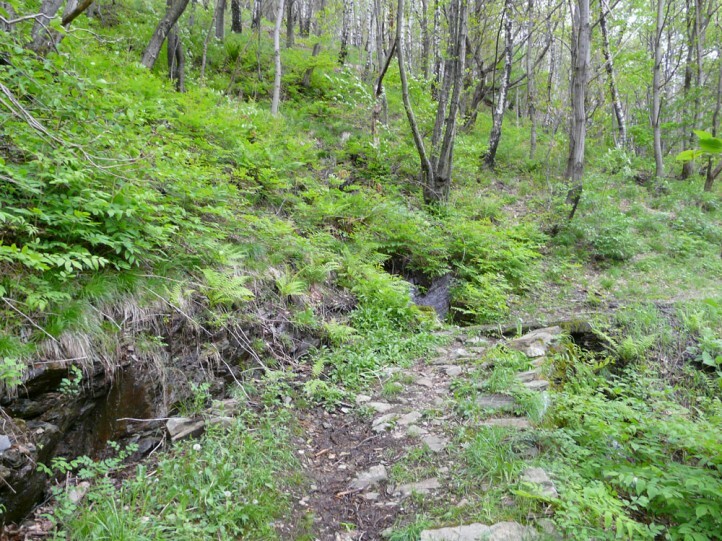 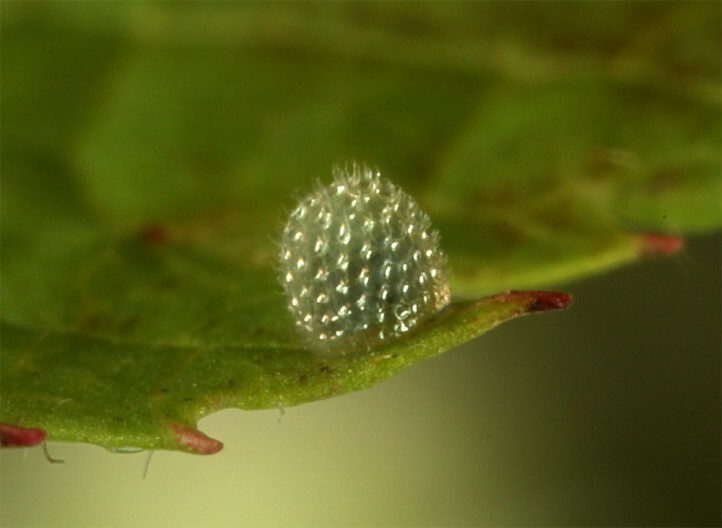 It is often found in ravines. 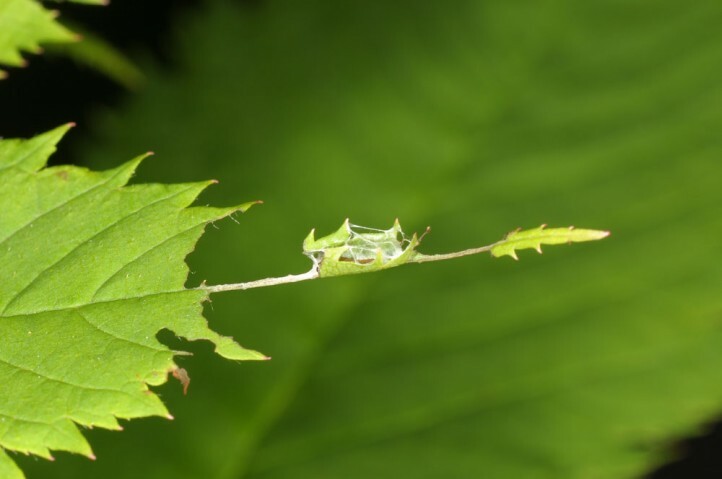 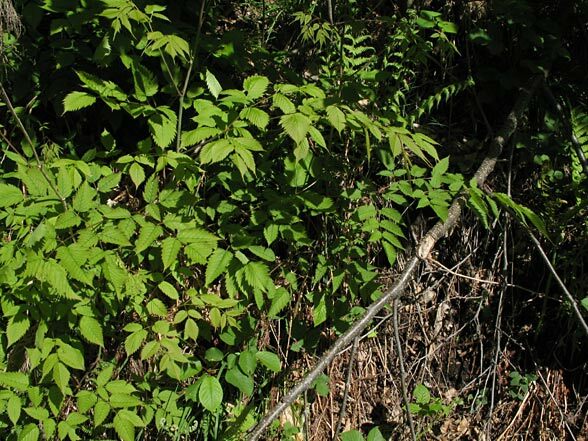 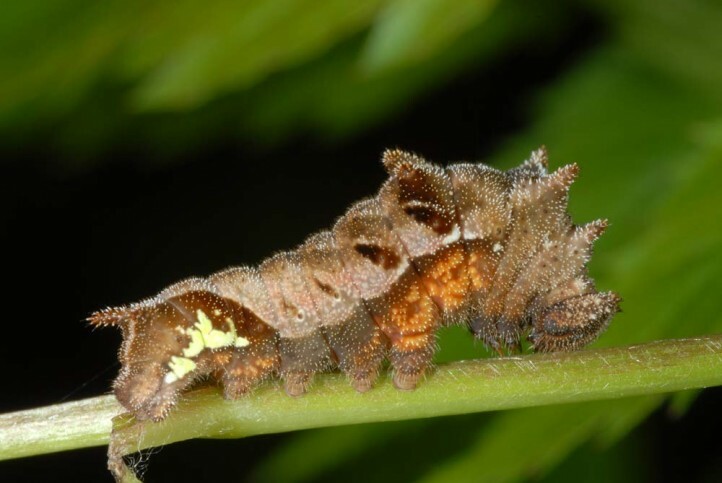 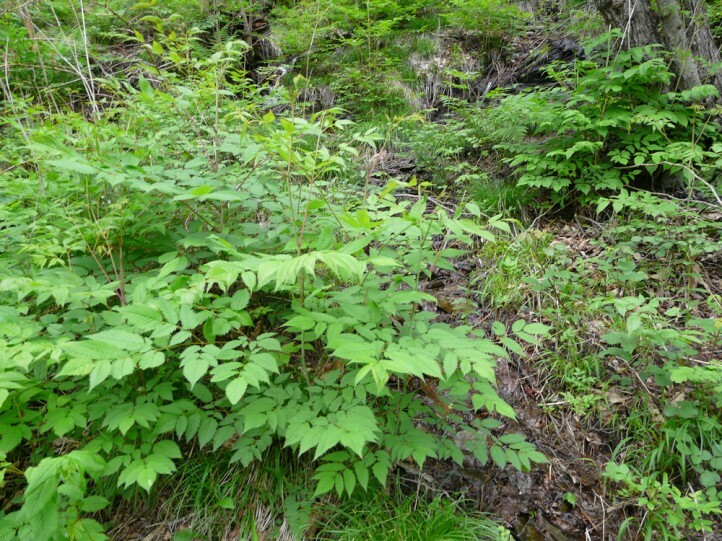 The caterpillars can be found at partly shaded Aruncus-plants. 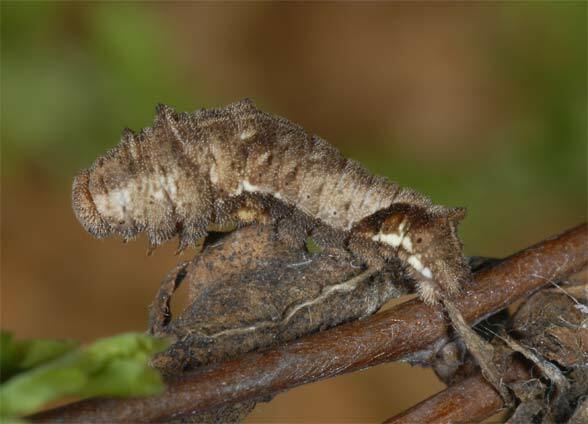 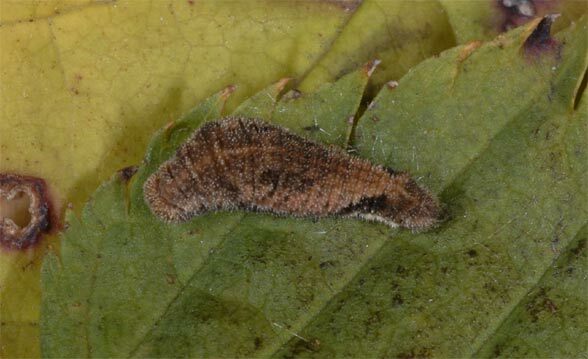 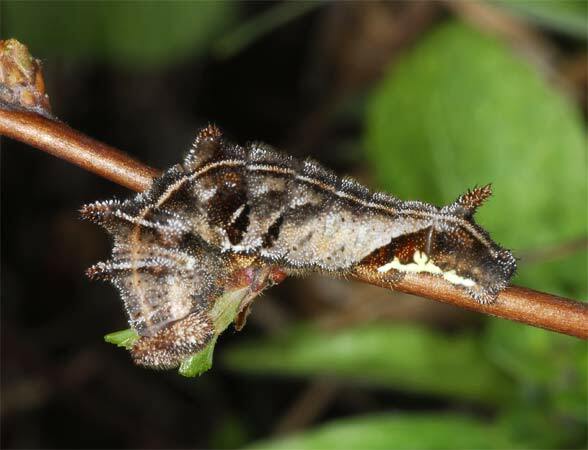 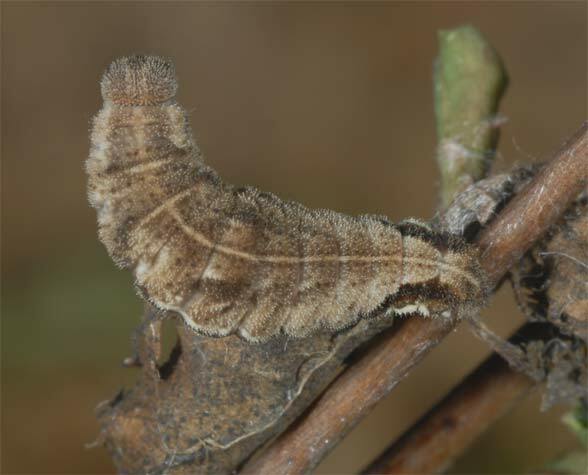 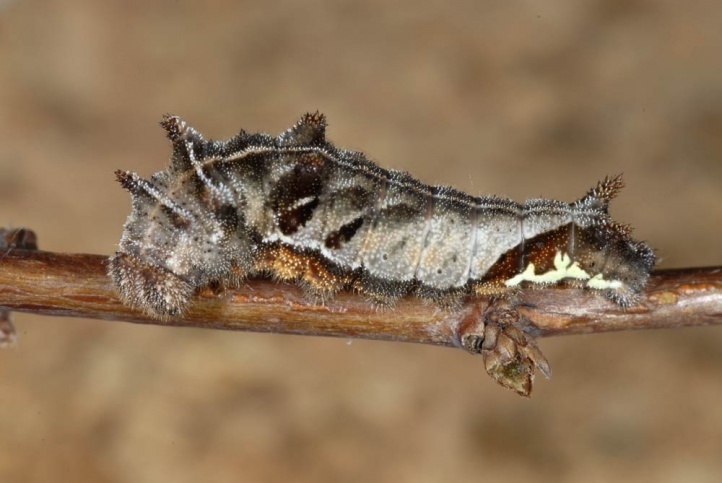 Neptis rivularis hibernates as a caterpillar, according to literature (SBN 1987) in the third instar. 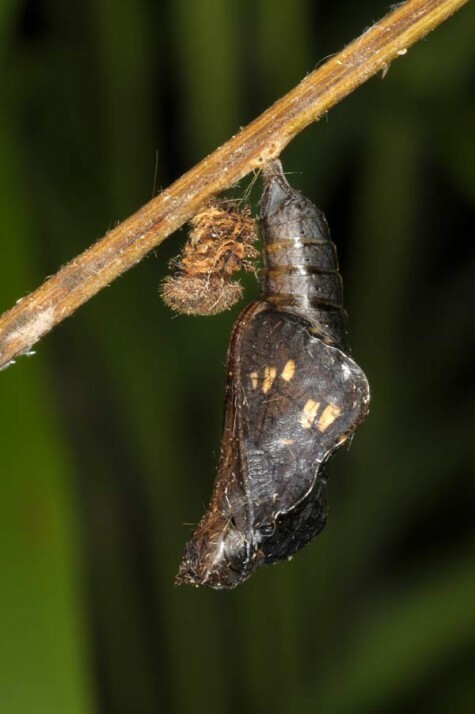 According to my own observations, the hibernation took place in penultimate instar with two larvae. 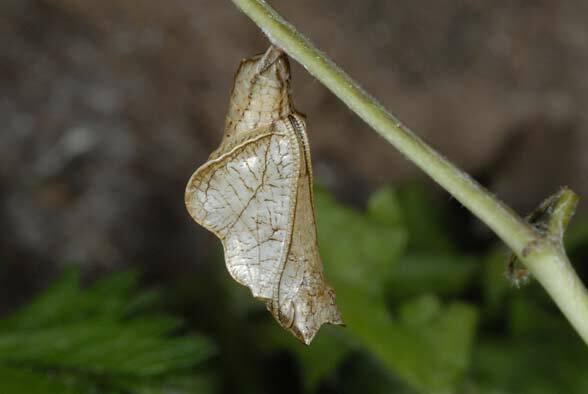 The caterpillar builds two housings: a summer shelter where it withdraws in feeding breaks and then a winter shelter. 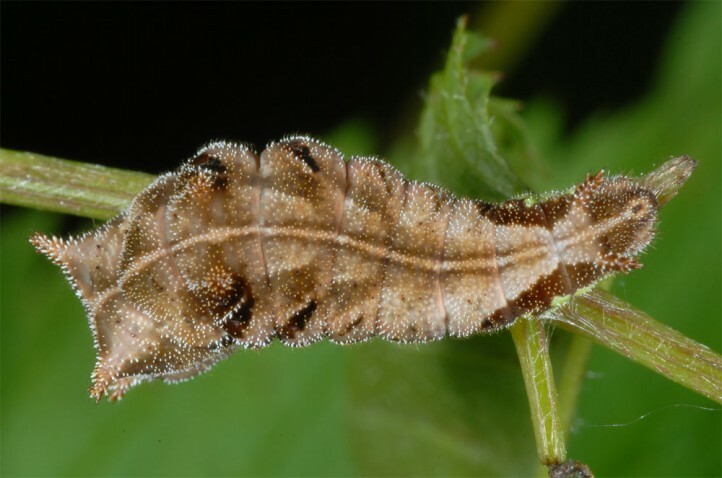 Mature caterpillars are found mainly in May. 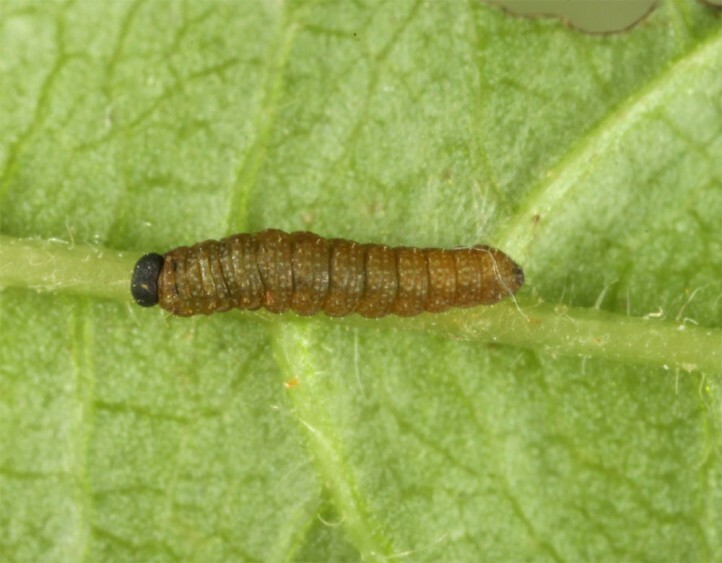 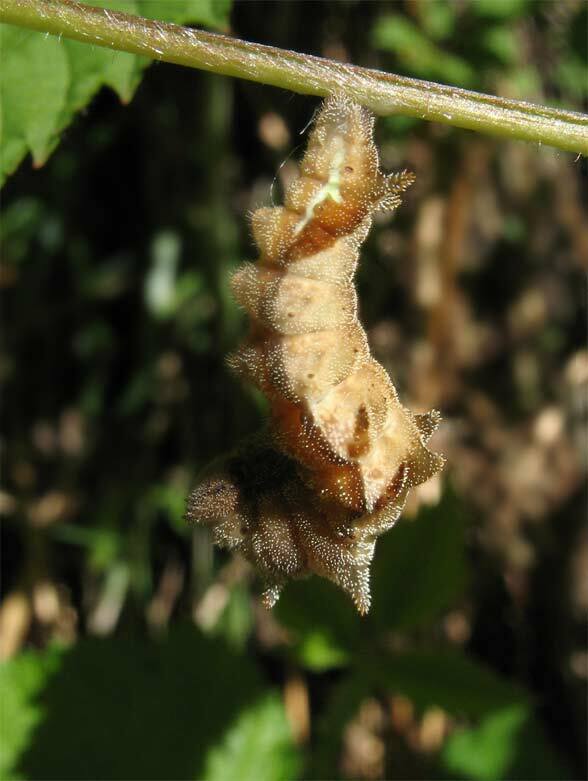 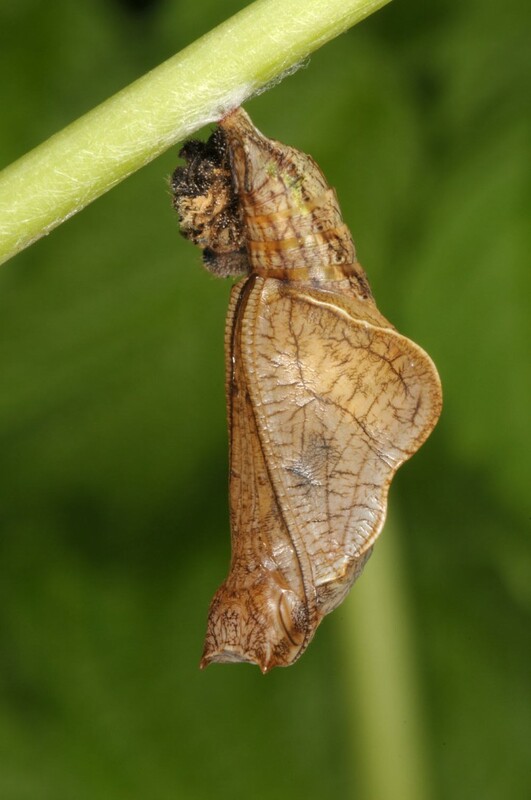 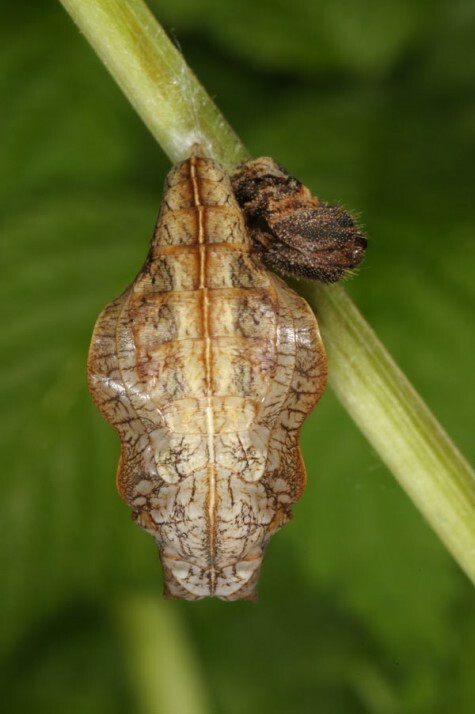 In mid-May 2006, I already found only prepupae and pupae in about 600m above sea level in Ticino. 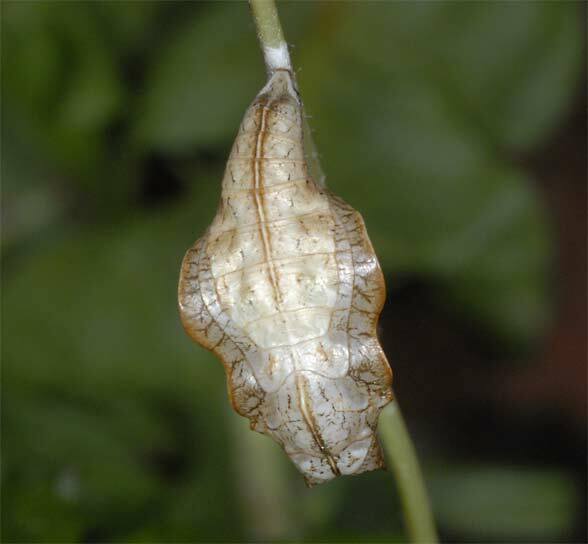 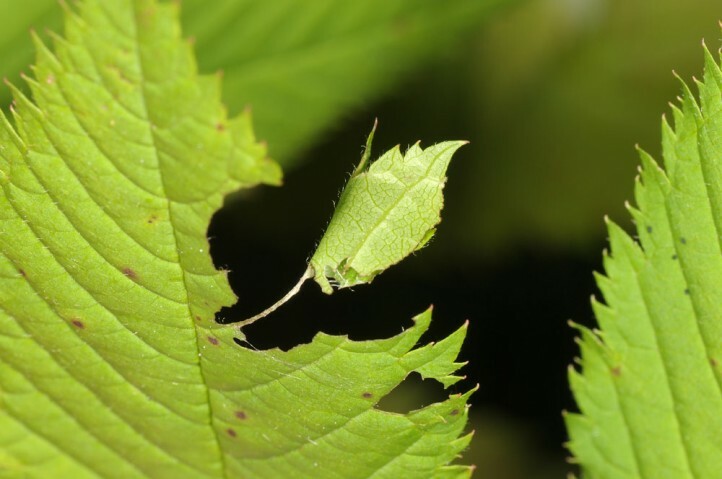 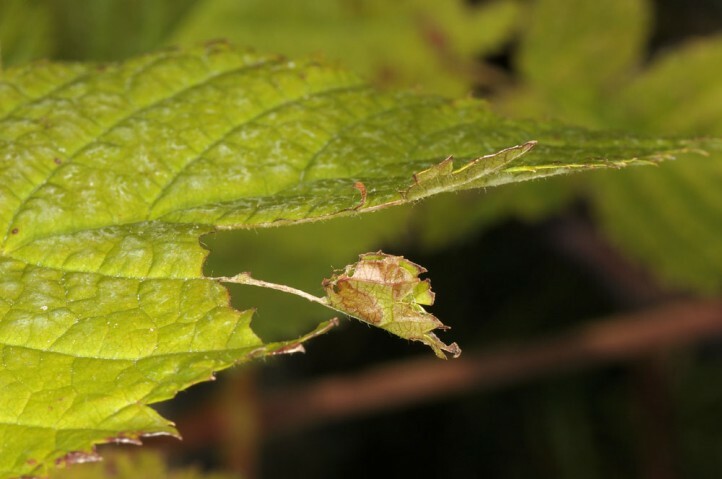 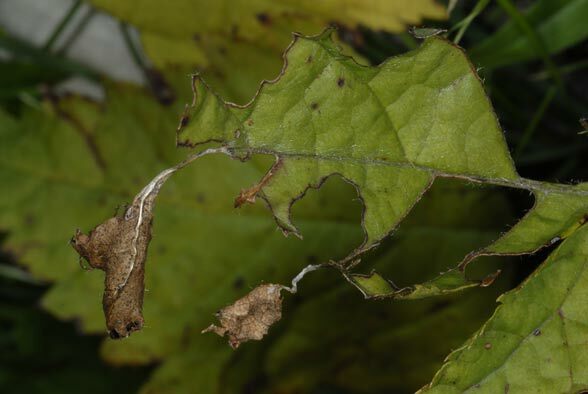 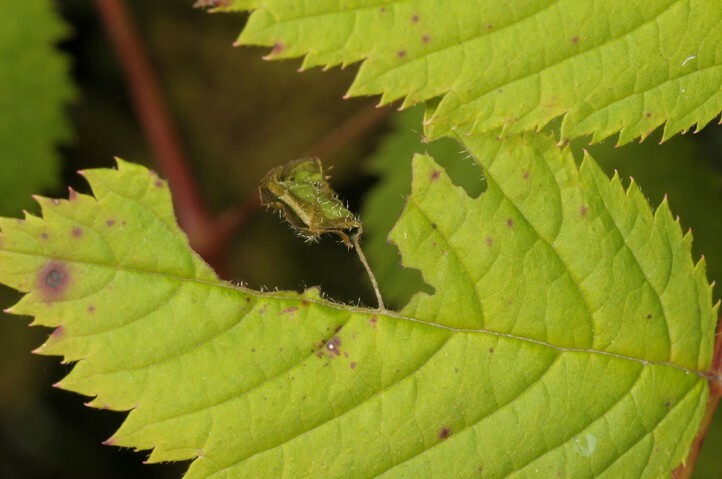 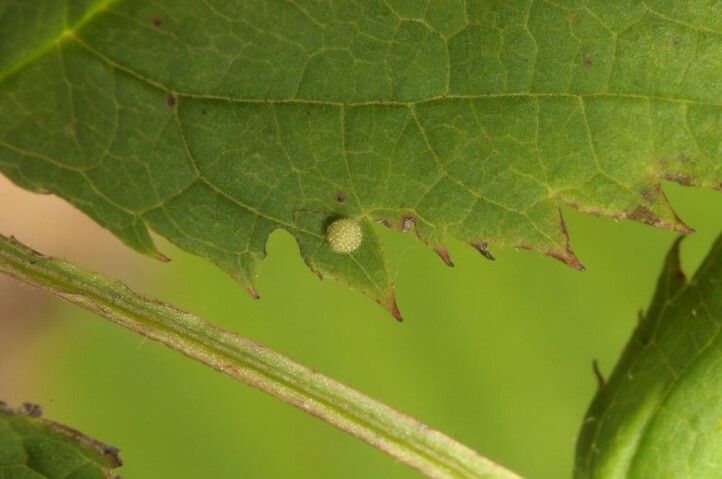 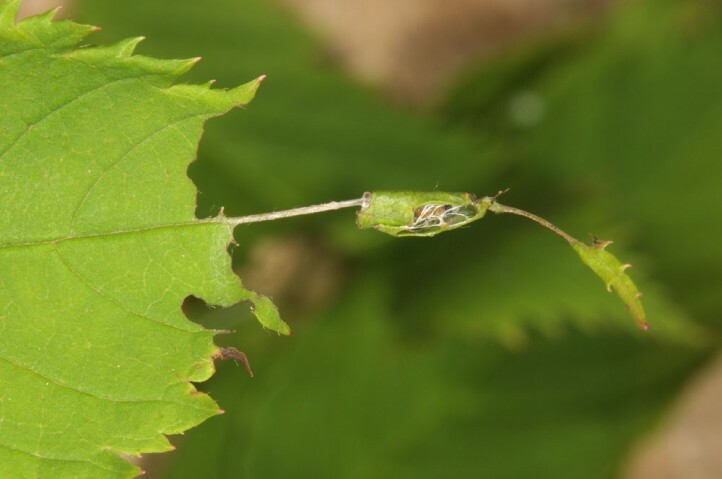 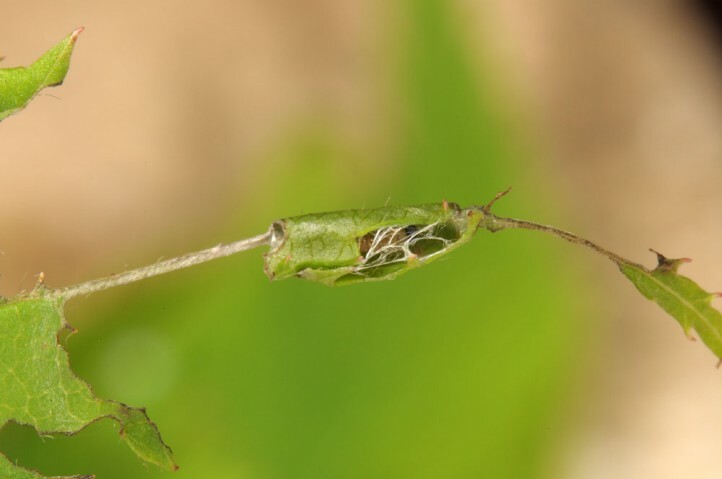 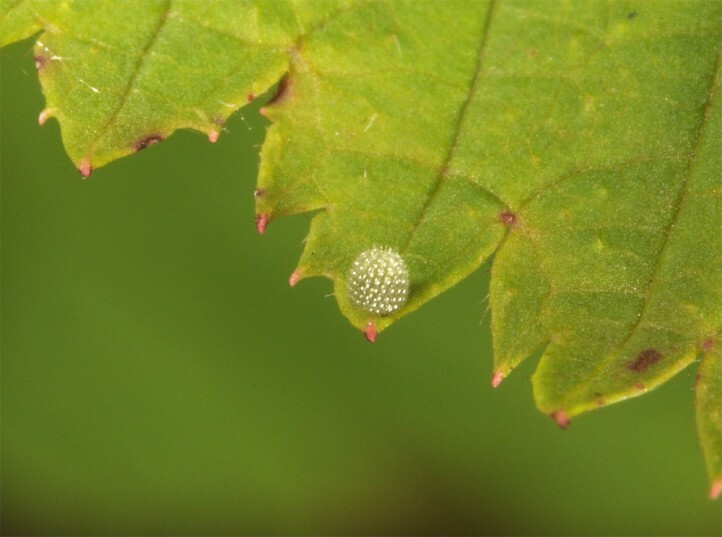 On 03/10/2007 I found several winter shelters, most often summer and winter housings had been constructed on the same leaf (low larval mobility). 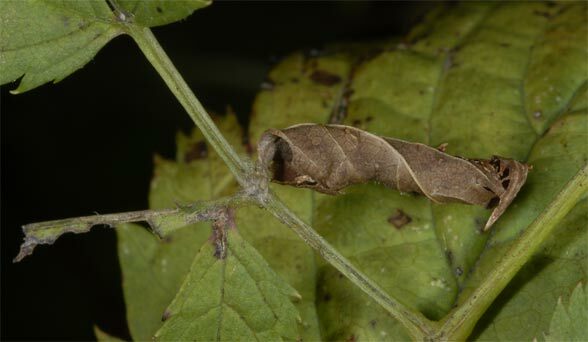 In the shelters, the caterpillar rests during feeding breaks and later throughout the winter. 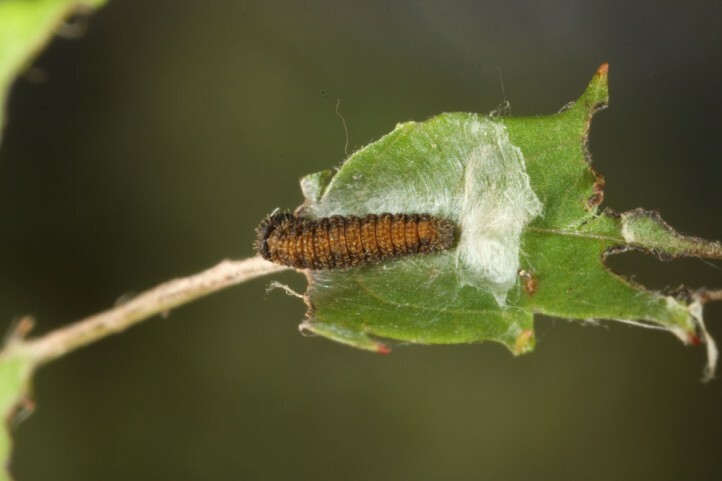 But even if the winter shelter had already been constructed (September), the caterpillar feeds until mid or late October, as long as it is reasonably mild, and the plant is not yet dead. 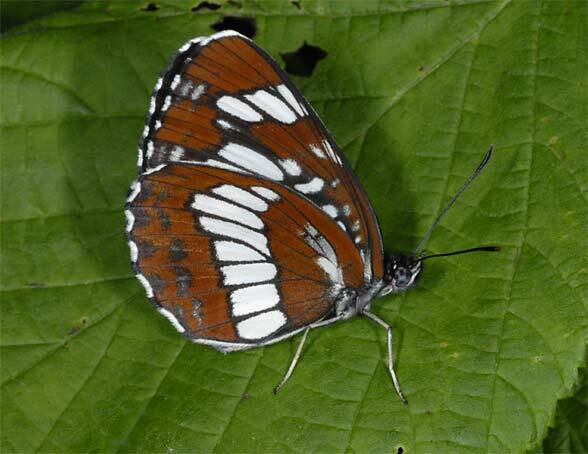 The butterfly is locally threatened by forest destruction or changements, but in many areas only weakly. 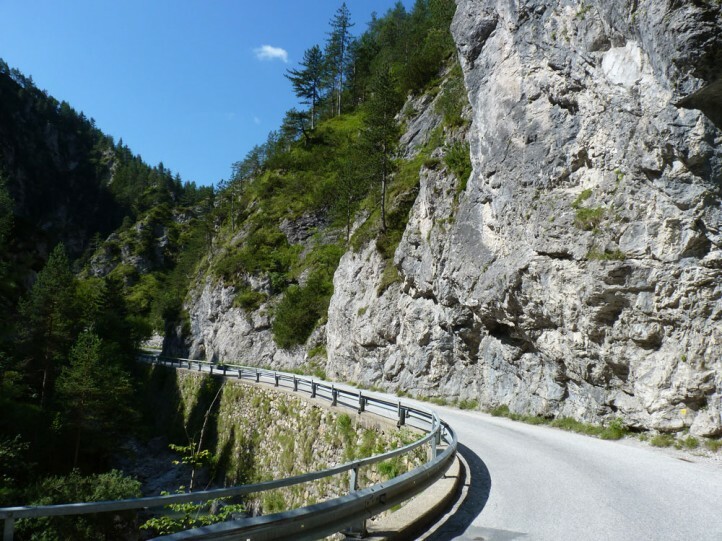 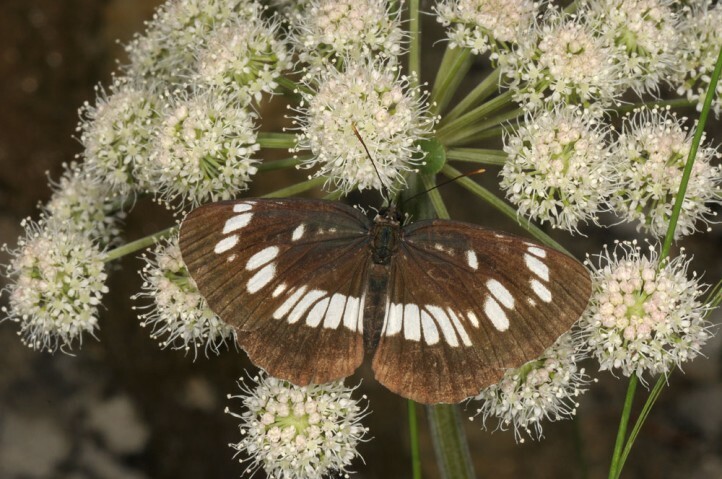 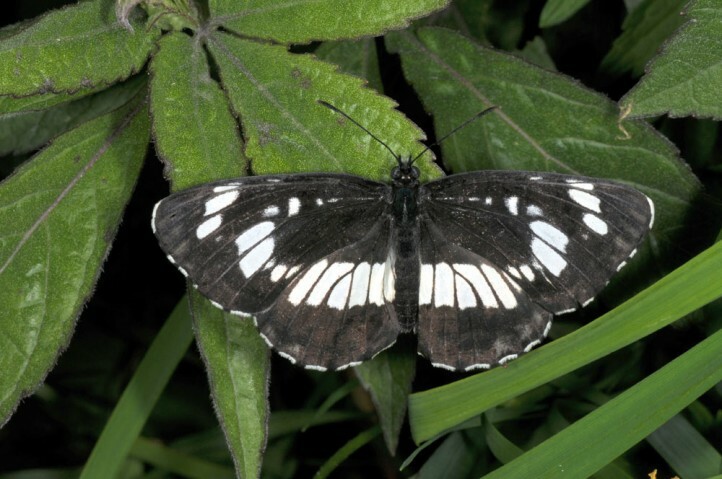 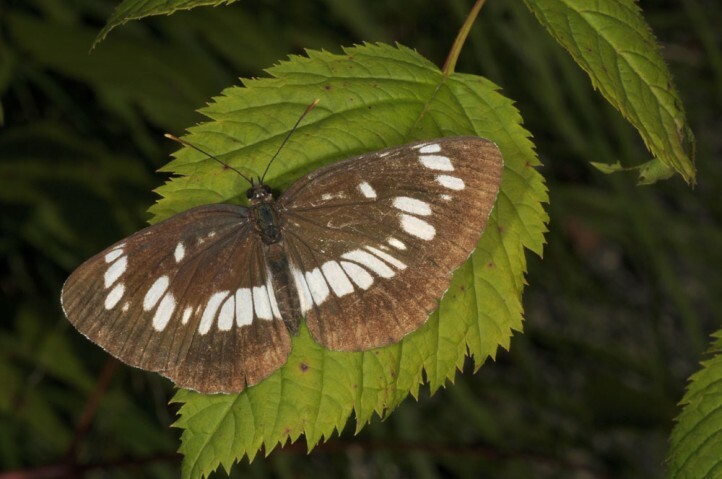 Neptis rivularis occurs in Central Europe on the southern edge of the Alps from Aosta Valley towards the east, where the occurrence is more extensive (about from southern Poland to Romania and northeastern Greece).